Happy Birthday Going Zero Waste! This little love child of mine has reached a three year milestone, and I'm amazed. I started blogging because I wanted to share my journey, and I wanted a way to stay in touch with friends and family after moving to California. 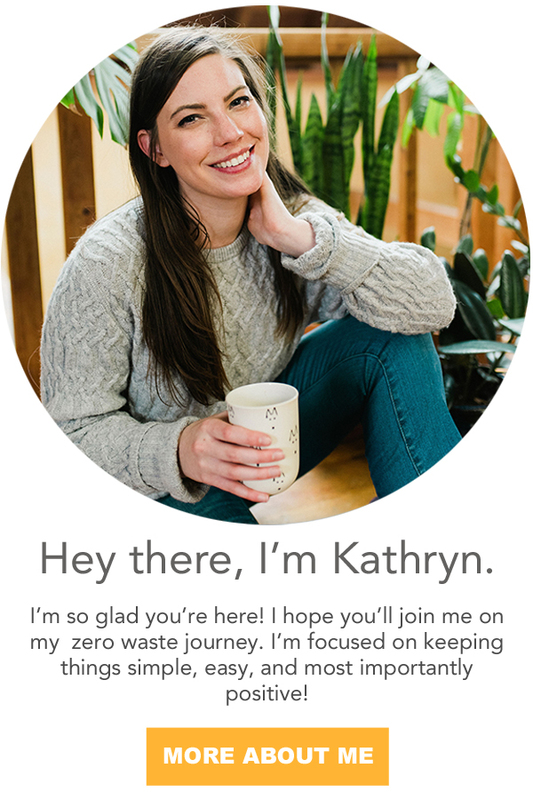 I wanted to create a space to help people reduce their waste and harness their consumer power even if they lived in an area without bulk bins or recycling. I wanted to help people reclaim their health and the health of the planet. I approached zero waste through a health lens, and I wanted others to see the connection. I started blogging twice a week, and somehow, while still having a full-time job, have continued that pace for three years. If you told me, three years ago, that I'd still be blogging - I would have told you, "You've lost your marbles." But, somehow, every Monday and Thursday night, without fail, I have something to say. Over the years you will have seen a huge improvement in my writing and photography skills. I'm curious how many people reading this post have been with me since the beginning? Let me know when you started reading my blog in the comments below! Writing this blog has opened so many doors. I have been able to meet some of the most amazing people working to change the world like Celia from Litterless, Manuela from Girl Gone Green, Shia from Wasteland Rebel, Andrea from Be Zero, and there are so many I haven't gotten to meet in person yet. But, I know I will someday. I've loved watching the evolution of this blog from simple swaps to activism. 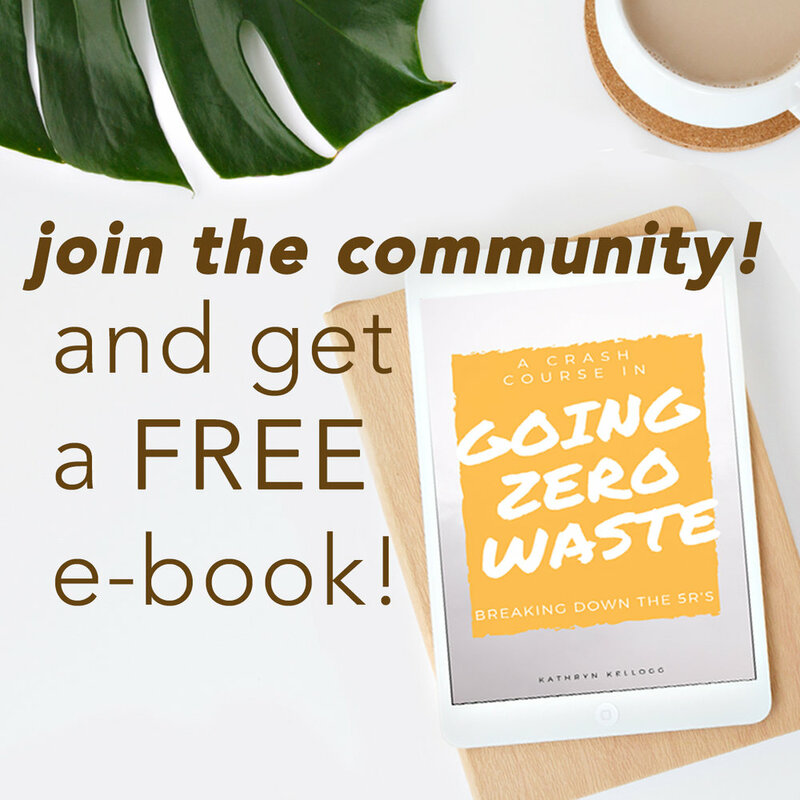 It really reflects my own journey, and I've mapped it out in this awesome post The Ultimate Step-by-Step Guide to Going Zero Waste. When I started this blog, I had two other roommates, Justin and I were still dating, and I was doing A LOT of theatre. I do miss theatre, and I really hope I'll get back to a more full-time schedule at some point. This blog has seen my roommates move out. Justin and I had a zero waste wedding. We moved into our tiny home (which I hate). Justin went back to school and graduated! Our lives have changed so much, and we both just started new jobs! He's an audio engineer at the Commonwealth Club, and I'm the new content creator for Pela. This blog has opened so many doors, and it's amazing to see how far it's come in such a short amount of time. Looking forward, I want to make sure I don't lose track of where I came from. I want to make sure I continue to offer posts for everyone at all levels. I want to cover more activism, but make sure the baby steps are fully covered as well. I plan to talk more about my wardrobe and sustainable brands as that's an area, I think, the blog is lacking. I want to talk more about zero waste skin care, if you're following me on Instagram, you know that's something I struggle with. I want to talk more about easy recipes! When going zero waste, many people can find it challenging to get dinner on the table quickly without convenience food. I want to help people make that transition easier. I also want to talk a little bit about being an entrepreneur and starting your own blog. Blogging has been an amazing tool for spreading the zero waste message, but it's also blessed me with so many opportunities. I get to work full-time in an area I'm passionate about. I would love to share that information with you. If there are any content holes, you'd like for me to address, please let me know down in the comment section below. I will form content around it! I definitely see the future of content creation moving towards video. Don't worry, still lots of blog posts - writing is my first love! But, I do think there will be lots of supplemental videos to go along with posts. I'm working on integrating more audio with blog posts, so you can listen to me narrate your blog posts, and there are some very large projects coming out in 2019. I'm also working on getting out from behind the screen. I am very excited to be partnering with Well + Good on their first Earth Month Event in Los Angeles. I'll be hosting and speaking. Being an actor, I love speaking. I love talking to people. I love sharing stories. My goal for 2018 is to talk to more people. I want to help others and spread the zero waste message beyond the blog. Thank you so much for joining me on this journey. Here's to many more years of Going Zero Waste, and I hope you'll stay along for the ride. The only way to solve this global crisis is together. Please let me know which areas of content creation, you're most excited about. I'll start forming new content around it first. Your voice matters here - I am here to serve you!